Collard Greens, and Everything Southern! As a Latina transplant in the South I was in for quite a culture shock in terms of food. 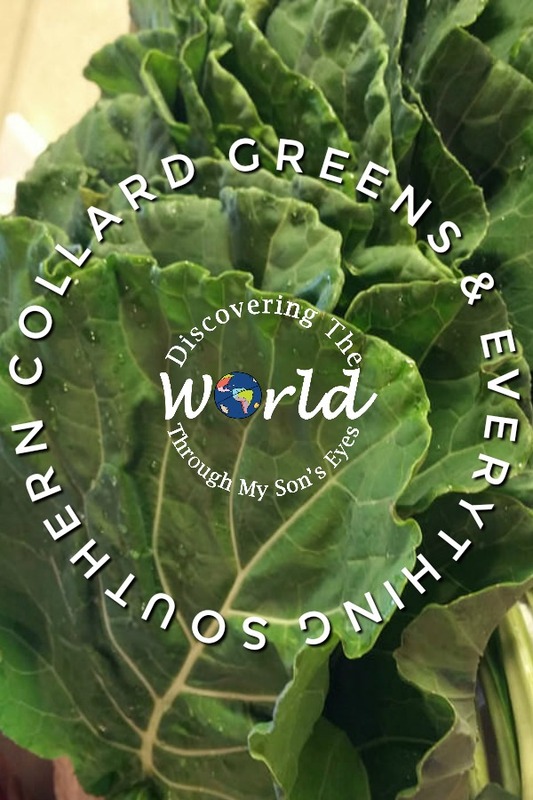 My husband is Southern born and bred, and our son is following his footsteps…he loves his collard greens! Before we got married my husband would often say, “A way to a man’s heart is through his stomach.” He even asked me if I knew how to cook! Ha! Sure I do, but I was in for a big surprise, he was referring to southern cooking! Uh oh! I had a hard time adapting my taste buds to this new form of cooking and eating. However, I did an extensive research on southern cooking, bought cookbooks, and looked for recipes on-line. I learned how to cook southern food. My hubby proudly boasts of how his wife can really cook some soul food! My son and husband truly enjoy eating their collards, BBQ, baked beans and everything southern. I especially love it, when little one asks, “Momma, can I have more collard greens please?” I’m proud of myself too! I actually enjoy southern cuisine, and when eating fried chicken I ask hubby to pass me the hot sauce. Ha! 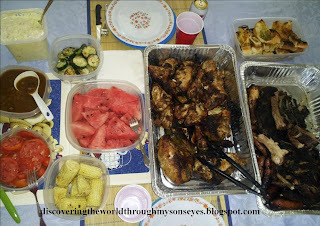 A BBQ feast over the summer! Hubby barbecued ribs, chicken breast, wings, steaks, and we had a wide array of fresh vegetables some from our garden: tomatoes, zucchini squash, and some from the farmer’s market: watermelon, and corn. 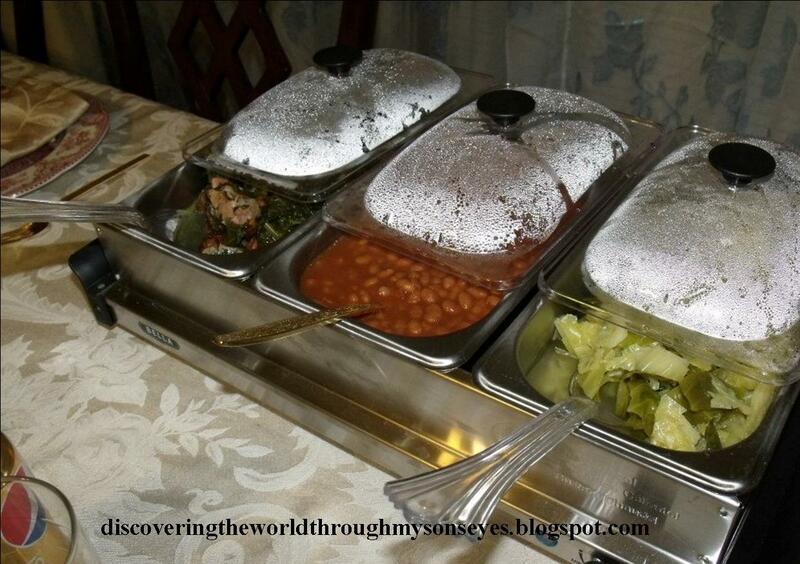 We served baked beans, potato salad, and garlic toast. 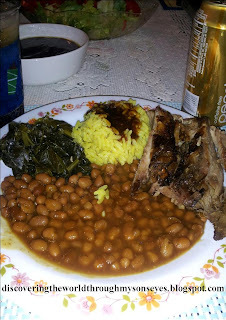 Collard greens, and cabbage were fresh off the garden, and of course some baked beans. Fried green tomatoes with a side salad. I had this as an appetizer at a restaurant we visited. 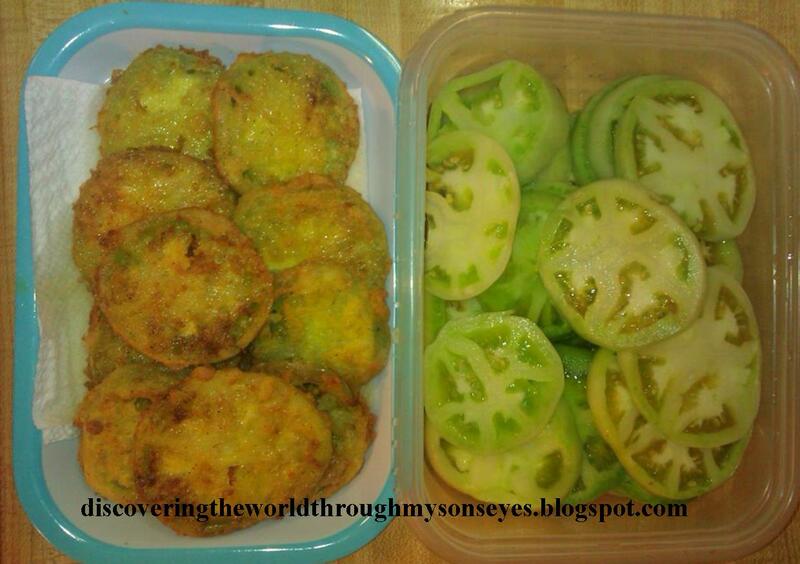 My attempt at making my own fried green tomatoes. I must admit they were delish! Nothing like some collard greens, yellow rice topped with gravy, baked beans, and some pork ribs! 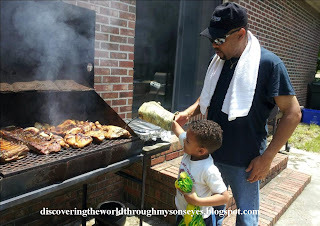 Our son is having the best of both worlds, especially when it comes to food! My next post will be about food that I grew up with: Puerto Rican cuisine! Buen provecho! Would love to hear your thoughts! Share and/or comment! Oh I love fried green tomatoes and collard greens! My family on my Mom's side is from the south and these things are traditions! Enjoyed your post and am now a follower! 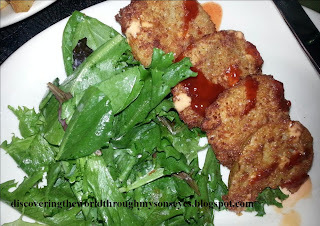 So glad to have found you through the "Shrimp & Grits" blog hop!